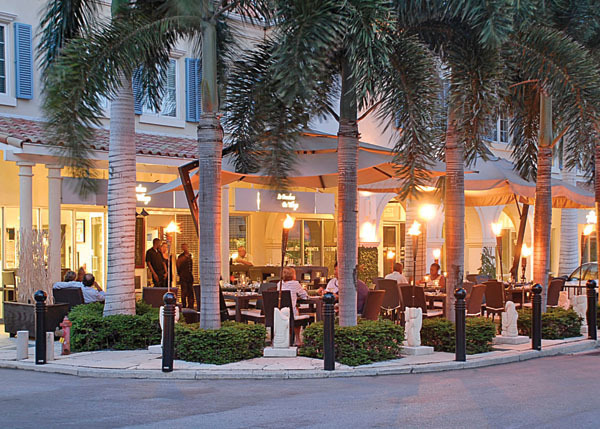 Great food is possibly the perfect garnish for any vacation and the Turks and Caicos Islands have an amazing variety of restaurants, with an astonishing selection of world cuisines. Our tiny archipelago boasts hundreds of eateries, from ultra chic formal dining establishments to ‘walk in from the beach’ bistros, and everything in between. Lobster Thermidor, fresh tuna, jerk chicken, creamy mash, exotic veg, imaginative sauces and desultory desserts are all at the tip of your fork or fingers. 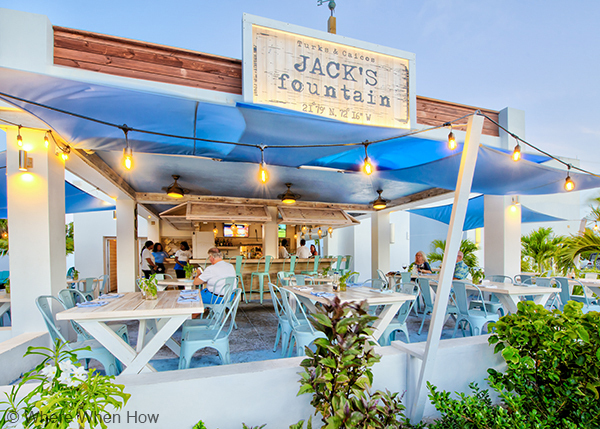 Enjoy dining at the new restaurant Jack's Fountain, in Grace Bay, opposite Casablanca Casino. Whether you fancy French Haute cuisine, Asian fusion, Italian, Indian or Japanese fare, you will find it here, in an island setting cooled by the trade winds and lit by fabulous sunsets. Our chefs are local and from across the globe, bringing favoured spices, recipes and methods to their repertoire in the TCI. The inspired melding of Caribbean staples and dishes, with imported know how, has created some truly eclectic and delicious menus. 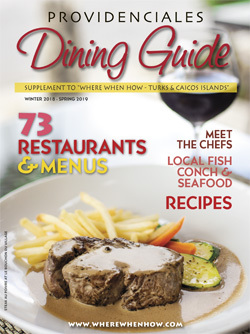 If you graze the pages of the Providenciales Dining Guide, you will truly understand our culinary cornucopia. Local restaurants serve up some of the most sought after renditions of lobster, conch and fresh local snapper and grouper. Conch of course, is the centerpiece of many local menus. 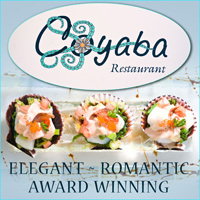 Conch meat lends itself to a multitude of recipes, including grilled, battered and deep fried, as ceviche and in pasta. If you have never tried conch, this is the place to educate your taste buds. Island life has also inspired our bartenders. Sunset is the perfect time to celebrate the end of another day in paradise with a special cocktail. We excel in the task of quenching your thirst imaginatively and tastefully. Rum is, of course, an island staple. We have our own brand and it finds its way into many a concoction at our restaurants and bars. But please, try it out in the rum cake as well. It’s a crowd pleaser and a great take home gift. Tradition may demand a rum drink when in the islands, but there are also margaritas and mojitos, local ales and lagers and stout to explore. Creative mixology is a given in the Turks and Caicos, so sample the specialty cocktails for a taste sensation. Of course there are champagnes, Proseco, liqueurs, and fine wines from around the world. They are just around the corner, at one of our well stocked stores, and in our restaurants. If the above sounds a trifle exotic for any of your group, rest assured that burgers in paradise are as delicious as they sound, mac and cheese is a given and chicken fingers are tender and crisp staples too.